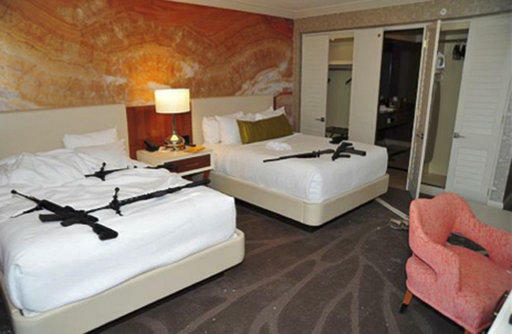 This Oct. 2017 photo released by the Las Vegas Metropolitan Police Department Force Investigation Team Report shows the interior of the hotel room of the shooter who killed 58 people during a concert in October. 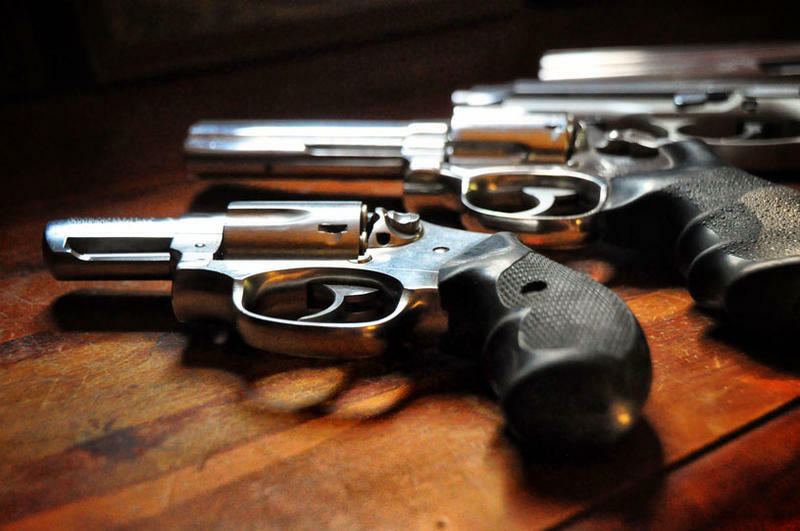 At Friday’s symposium “Responsible Reporting of Gun Violence” at the University of Pittsburgh, researchers discussed how to prevent mass shootings. Russell Palarea, an operational psychologist who works in Bethesda, Maryland, works to thwart intentional and targeted acts of violence. He said that it’s a myth that people snap and then commit mass violence. Palarea said that it’s important to help a person resolve these grievances and then monitor that individual as their desire to commit violence can ebb and flow. He said that in some instances, people might need to be monitored for years, such as one case he’s been involved with since 2014. Monitoring might include watching someone’s social media, speaking with family and neighbors about the threat, and also talking with the subject and maybe helping them resolve their problems. In extreme instances, a dangerous person might be hospitalized or incarcerated. Some people carry out mass shootings not due to a grievance, but because they crave attention. Criminologist Adam Lankford of the University of Alabama said these murderers know media coverage of them will be negative and they still find it validating. Lankford suggested to stop this cycle, journalists should stop publishing a mass shooter’s photo and name. But he says other details, like an offender’s background or behavior, or how the attack was carried out, aren’t as motivating to potential copycats. Lankford said, however, that a suspect's name and photo should be made public during an ongoing law enforcement search for that individual. In the middle of the night, Saybah Harris received a text message. It was a photo of an ambulance with a simple description: It's Foday. 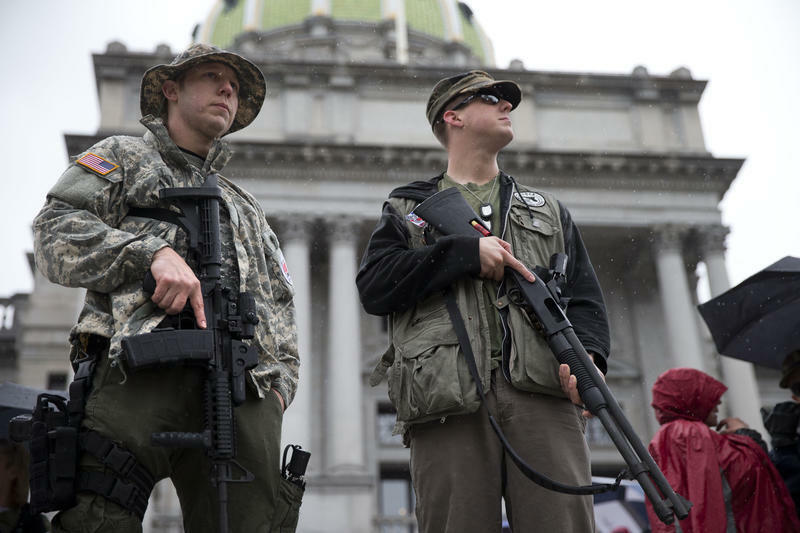 Hundreds of gun rights supporters took their cause to the state Capitol on Monday, pushing for an agenda that includes looser rules for carrying concealed weapons. 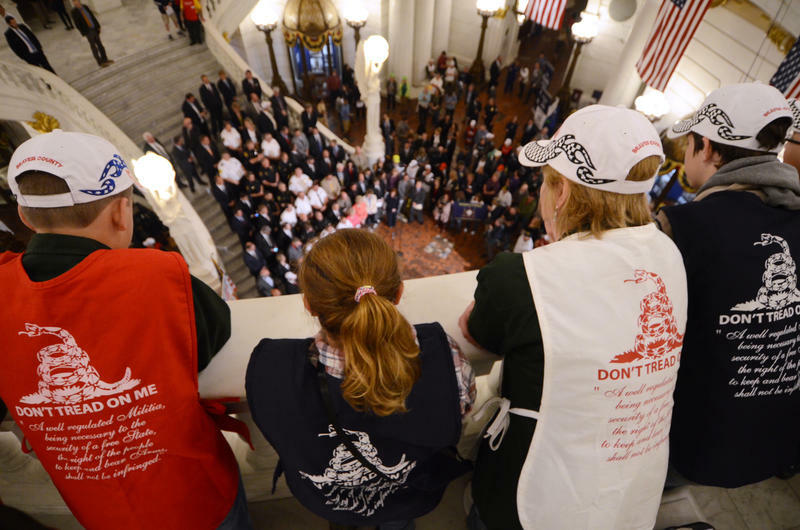 A "Make the Second Amendment Great Again" rally in the Rotunda brought together state lawmakers, sheriffs and gun rights enthusiasts for what has become an annual event.